Avie Reveare has the normal life of a privileged teen growing up in L.A., at least as normal as any girl's life is these days. After a synthetic hormone in beef killed fifty million American women ten years ago, only young girls, old women, men, and boys are left to pick up the pieces. The death threat is past, but fathers still fear for their daughters' safety, and the Paternalist Movement, begun to "protect" young women, is taking over the choices they make. Something was up with Dayla. 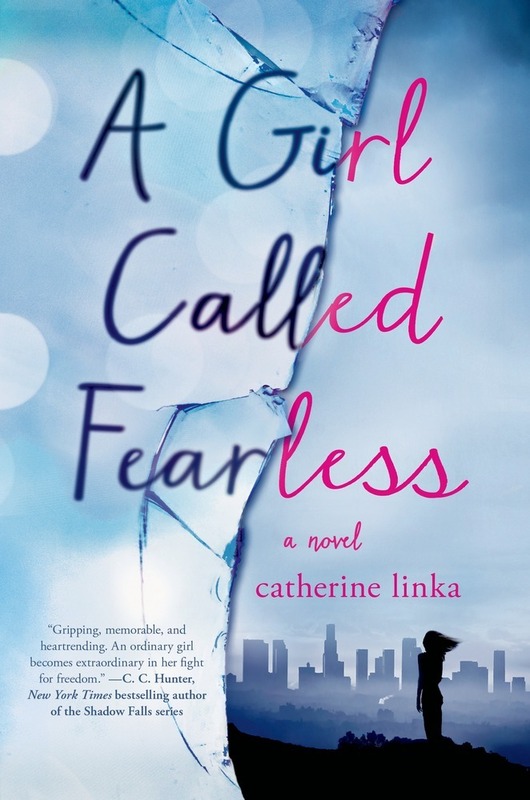 CATHERINE LINKA was almost thrown out of boarding school for being "too verbal." Fortunately, she learned to channel her outspokenness and creative energy into writing. A passionate traveler who has visited Iceland, the Amazon, and the Arctic circle, Catherine has seen five types of whales in the wild, but no orcas. Yet. She doesn't believe in fate, but she did fall in love with her husband on their first date when he laced up her boots, because she had a broken hand. A Girl Called Fearless is her debut novel.